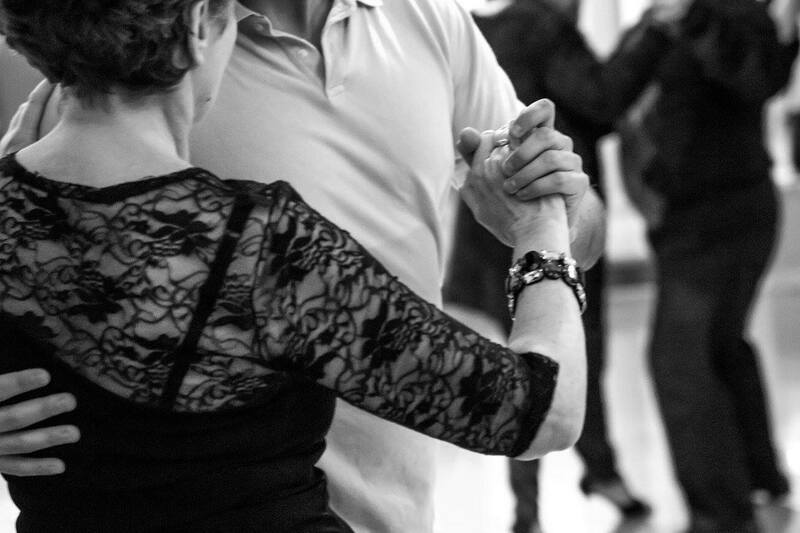 A blog about tango, life and how the two are interconnected, by Andrea Shepherd. The beauty of tango lies in its unpredictability. To mark my 20th year dancing tango, I have come up with 20 lessons I have learned through this improvised art that is never the same from one dance to the next. Lesson No. 11. Accept that things often don't go according to plan. You never really settle in, because it's noisier than the other place, or the menu isn't what you were looking forward to all day. Not only do you have trouble enjoying the meal, the ambiance or even the company, you feel some nagging resentment toward the other restaurant because it's a stupid night for them to be closed, and they should announce their hours better so this kind of thing doesn't happen to people. So your plans were foiled and your night is more or less ruined. You soak up the energy of the bustling place and decide to try a dish you have never had before. It turns out to be interesting, if not the best thing you've ever tasted. Meanwhile the appetizers and wine are delicious, and you and your friends have fun listening in on the bizarre conversation at the next table. You still plan on a visit to your intimate little Italian place in the near future, but also have a new spot to add to your list. Also, you make a mental note to call ahead next time, which will save you not only showing up to a closed door, but wait times when you arrive with no reservation. This is an example of how you can experience the exact same events in completely different ways depending on how you perceive and react to them. Allow resentment over unexpected changes to weigh heavily and it will be hard to have a good time no matter what, but let go of the initial plan and who knows what can happen? Dancing in a milonga is all about letting go of the plan and adapting to new, unexpected, constantly evolving situations. Leaders learn this early on, or should, at least. A skilled leader basically has a plan all the time, but is expert at adapting to unexpected situations and changing the plan at just about any moment. Yes, sometimes the dance floor is overcrowded; sometimes it is downright chaotic. But that is the reality of tango, and if you can't accept that a huge part of dancing a totally improvised dance is learning to react and adapt to what's going on around you, it will be hard to have fun when there are other couples on the dance floor. With your partner, mistakes will be made, and the sooner you can accept that, the more you will enjoy tango. Finding creative ways to get out of a sticky situation can even be a fun challenge. I'm sure half of the new moves that are invented first happen by accident, and a good portion of my adornos come about while I'm trying to disguise a misstep. If you know me or have read my blog before, you know that I really, really don't like it when social dancers correct or instruct their partners. Leaders who correct their followers, making comments about what she was “supposed to” have done are too attached to their initial plan and unable to just adapt and move on. It's so much nicer to dance with someone who laughs off the inevitable mistakes and their weird results. The same goes for leaders who are constantly annoyed by all the dancers around them. The reality is tango is unpredictable, so why bother with frustration? In fact, the beauty of tango lies in its unpredictability. That is what keeps it fresh and new – despite the fact we dance around and around the same floor, to the same music over and over again. I once danced with a man who literally criticized all the dancers around us on the dance floor throughout the entire tanda. This one didn't advance enough, that one was too close behind us, people in general didn't move quickly enough. Of course his complaining made him so unpleasant to dance with I still remember it years later, but imagine going through life like that, constantly annoyed and frustrated by everything that goes on around you? I think it would be hard to get much enjoyment out of anything. Followers often hold on too tight to their doubt and insecurity over what their leader's plan might have been: “Was that right?” “Was that what he wanted me to do?” The answer is, “It doesn’t matter.” What’s done is done, and it’s up to both partners to just take things from there. That's on the dance floor, but off the dance floor the unexpected can happen as well. Just like in the restaurant example above, you may not have the exact night you were looking forward to, but if you are open to what comes, you can still have a great time. Didn't dance as many tandas as you hoped? Well, maybe tonight was more about enjoying the vibe than filling your dance card. Didn't catch a cabeceo from the person you most wanted to tango with? Maybe you made someone else's night when they did catch yours. Tango – and also yoga, but that's a topic for a future post – has really helped me realize that many of life's frustrating moments boil down to the ability to let go of the plan. That ability is directly linked to the ability to live fully in the here and now, which I wrote about in detail in my post titled Enjoy every moment. If living in the moment and going with the flow are ideas you already live by, that part of tango may come to you with relative ease, as it did for me back when I started. But if letting go and kind of rolling with the punches are difficult for you, perhaps they will be among the life lessons tango teaches you. A Feedspot Top 30 Tango Blog! 2014. Simple theme. Theme images by ideabug. Powered by Blogger.